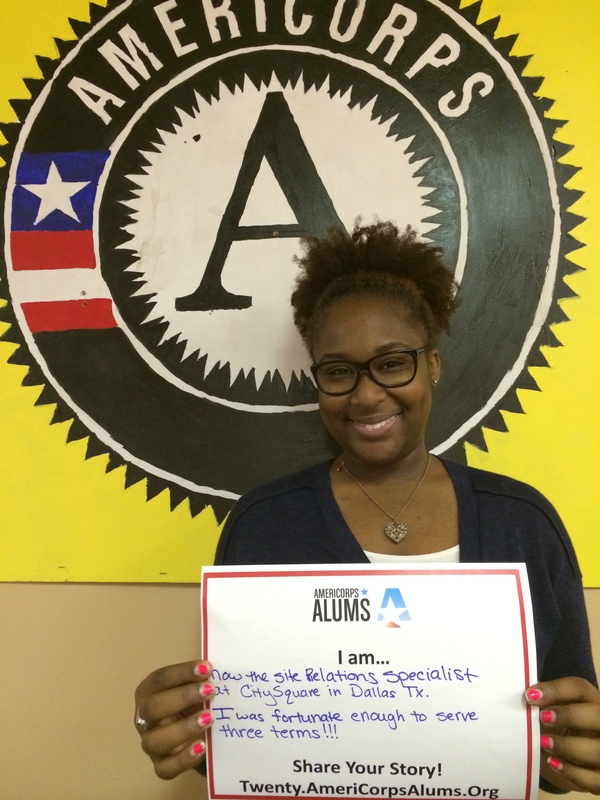 The Story Beyond the “A” – Meet AmeriCorps Alums of North Texas! Today’s blog marks our third blog in the #Iamthe20th series! Our guest blogs come from alums who shared stories on twenty.americorpsalums.org and are part of AmeriCorps Alums of North Texas. 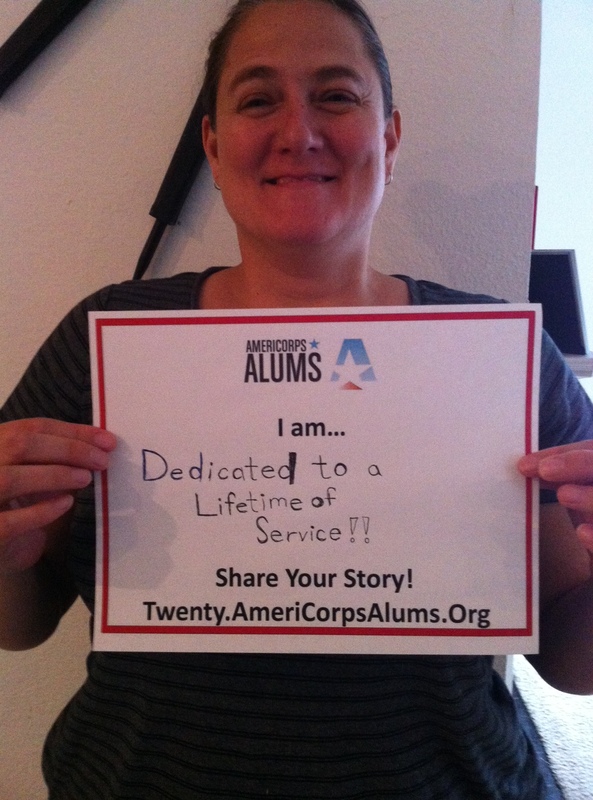 Do you want your AmeriCorps program or Alums chapter to be featured next? It’s easy! Take a picture with our #Iamthe20th sign, post it on social media with the hashtag #Iamthe20th, and email your blog to maria@americorpsalums.org! 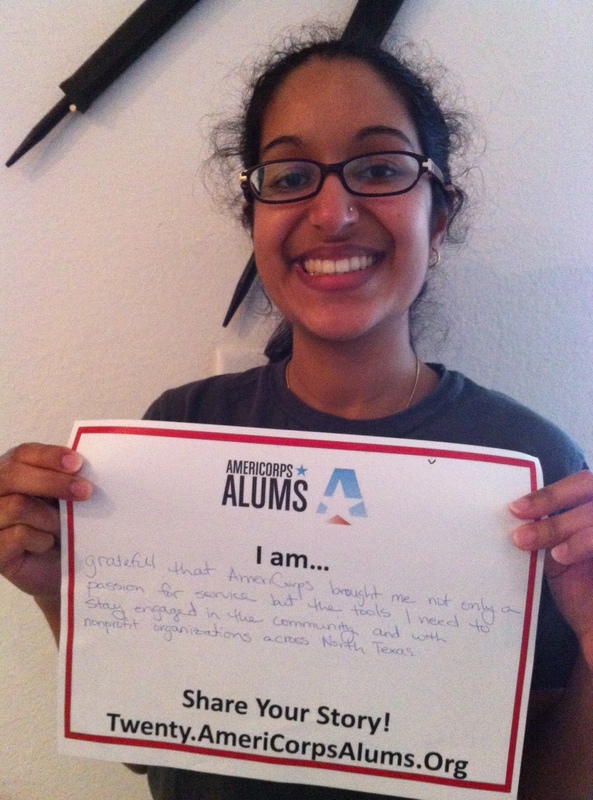 Why did I share a story on twenty.americorpsalums.org? I like to take advantage of every opportunity to inform people about AmeriCorps and National Service. It’s a story that doesn’t get told nearly enough. The experience I had was incredible. I met some of the most amazing people and realized I wanted to spend the rest of my life helping others realize the value of service. Thus far, I have had the opportunity to work with incredible people that have taught me a lot and have had some amazing adventures. People who serve are my favorite people in the world. Where did you serve and where are you now? THEN: AmeriCorps *National Civilian Community Corps Western Region when it was based in San Diego, CA (1997-1998 as a Corps Member, 1998-1999 as a Team Leader, 1999-2001 as a staff member). The experience shaped the direction of my life. Describe how you were #MadeInAmeriCorps in six words. Find a need, fill a need. 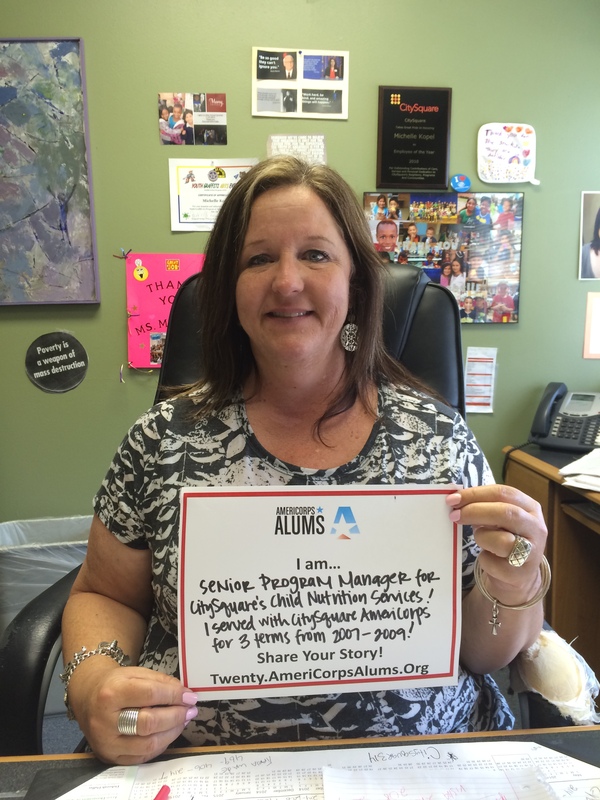 I am a Chapter Leader for the North Texas Chapter of AmeriCorps Alums, and I am incredibly dedicated to National Service and sharing the benefits with others. 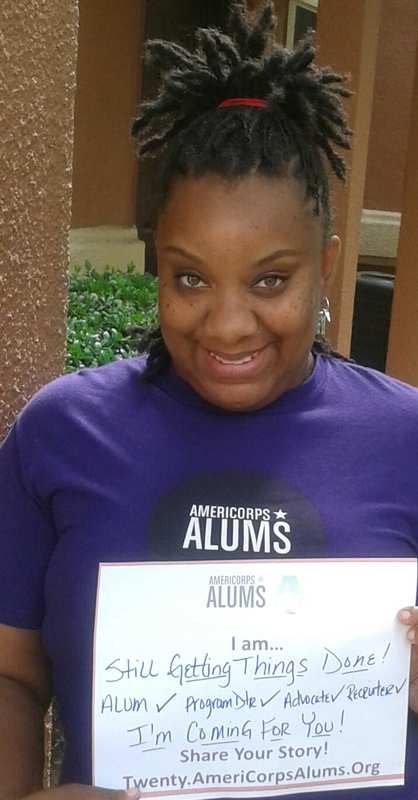 I was first introduced to AmeriCorps while helping with Hurricane Katrina recovery efforts in New Orleans. The impact the AmeriCorps members had on that city during such a difficult time inspired me to want to serve my country in the same way. I hope my story will inspire others to want to make a difference in their community, too! Then: I served as an AmeriCorps Promise Fellow with the Minnesota Alliance with Youth at the St. Paul Public Housing Agency in St. Paul, MN from 2009 – 2010. Now: I am currently the Program Manager for CitySquare AmeriCorps – an AmeriCorps program in Dallas, Texas that focuses on Education and Healthy Futures. My mantra is: Make a Difference. I feel that AmeriCorps has impacted my life in so many ways that people should hear my story to find motivation to serve with AmeriCorps like I did! Then: I served with CitySquare AmeriCorps for three terms – one term with Food on the Move and two terms with Trinity River Mission. Now: I am the Site Relations Specialist for CitySquare’s Child Nutrition Services. I get to feed kids afterschool and summer lunches! An absolute blessing on my life. Because AmeriCorps/VISTA was such a powerful experience for me that changed the trajectory of my life. The impact AmeriCorps has had on my life is too amazing to keep to myself. I want others to be inspired to join AmeriCorps. Then: 2002-2003 Huntsville ISD, Huntsville, TX – I was the Children’s Health Insurance Rep for Walker and Waller County. It was an amazing experience to visit rural areas and help parent’s meet the health needs of their children, from basic immunizations to health insurance. 2005-2006 Dallas YMCA Dallas, TX – I did teen programming for youth in South Dallas. What I loved most about this service term was infusing service into the teens and showing them that no matter their circumstances, they have something to give. Several of them grew up to be AmeriCorps members themselves! Now: I am currently the Assistant State Director for a school readiness family literacy program called HIPPY. Our members teach the parents of children aged 3-5 how to be their child’s first teacher. 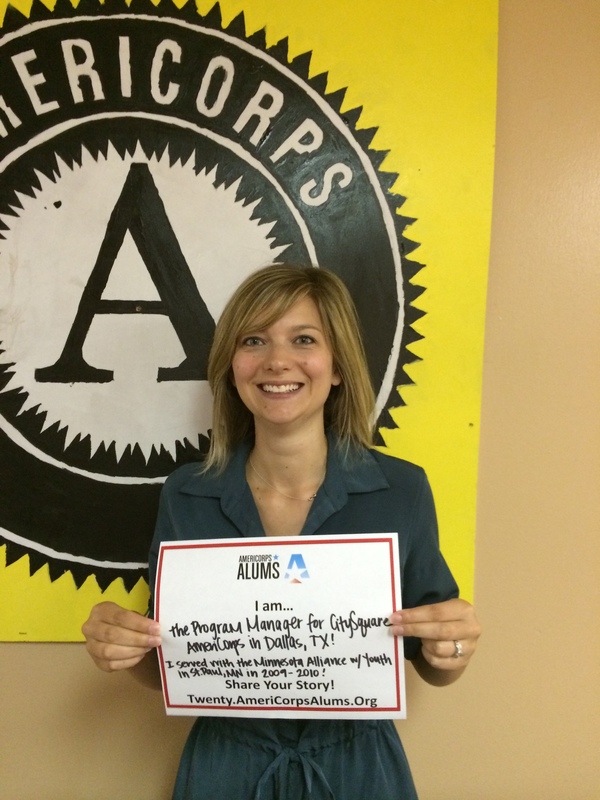 AmeriCorps taught me meaningful service.